Are you working part-time, despite wanting full-time work? Depending on your situation and location, you may be eligible for partial unemployment benefits. In some states, an unemployed worker can sometimes receive partial benefits if they work less than a full week and earn a certain amount of money – and if they meet other requirements. Partial unemployment benefits are available to both unemployed and part-time employees. Most people who collect unemployment are out of work, but partial unemployment benefits allow those who are still working to claim aid as well. A worker may be underemployed or working part-time as the only alternative to being laid off or made redundant. A person who lost their full-time job or even one of two part-time jobs and was only able to find part-time or temporary work may also meet the requirements to receive benefits. Eligibility for partial unemployment benefits is determined by state law. Although benefit eligibility varies, most states agree that a worker who voluntarily chooses to cut back on hours or work part-time is not eligible for partial unemployment benefits. Again, your state laws will vary. Regardless of the specifics, these requirements are usually the same for all types of unemployment benefit initiatives. Finally, a person must be ready and able to work more hours. When Can’t You File for Partial Unemployment? Cutting your working hours to return to school or acquire additional training. Working a reduced schedule to accommodate childcare or other caregiving needs. Quitting your full-time work and acquiring a part-time job that doesn’t pay as much as your previous employment. Regardless, it may make sense to file anyway. Your state unemployment office will be able to tell you whether you’re entitled to receive benefits – and you never know until you try. Each state will determine your benefit payout based on several factors. Many state unemployment agencies have online calculators for eligible individuals to get an idea of their potential benefit. Typically, the state determines a reasonable, sustainable, weekly value and then subtracts the amount you are already working each week. Many states will allow benefit seekers to keep some of what they earn without reducing their benefit payout to encourage employment. The difference between the state’s initial determined value and your wages is your weekly partial unemployment benefit. When a claimant receives partial benefits, the unemployment claim will be extended until the claimant receives the maximum benefit amount determined by the state, or until the benefit year ends, whichever occurs first. Unemployment benefits are issued by each State Agency that focuses on employment. Both partial and regular unemployment benefits are funded by the employing company’s state tax withholdings based on employee wages. In other words, a fixed percentage of each employee’s wages are paid by the company. 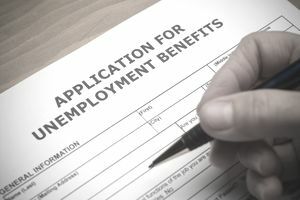 While employers are not necessarily charged for unemployment benefits after the fact, they are notified when an employee files for an unemployment benefit. This is to prevent fraud by giving the employer the opportunity to contest the claim in the case of misconduct, termination, or a change in roles. Employees cannot be fired for filing a partial unemployment claim. Check with your state unemployment office website for information on partial unemployment benefits in your location.